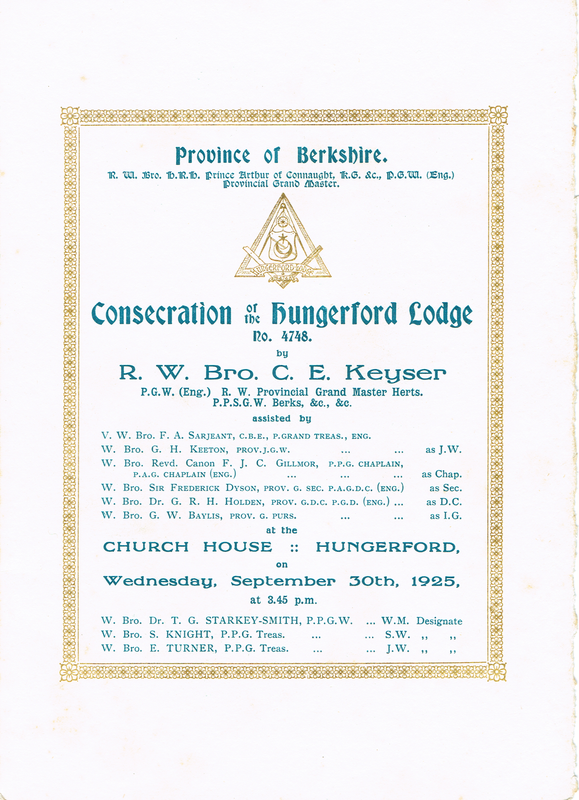 The Lodge received its warrant of constitution on 9th June 1925 and was consecrated on 30th September 1925. The consecration ceremony took place at 3.45pm in the Church House, Hungerford. This building is now known as the Croft Hall. The ceremony was led by the Right Worshipful Brother C. E. Keyser Past Grand Warden (UGLE) PGM (Herts) PPSGW (Berks). The ceremony consisted of forty-eight parts, followed by the Lodge business which involved installing the first team of officers. The thirty seven founders and first officers are shown below with the role they took. Our first Worshipful Master, Dr Starkey-Smith was one of the founding partners of the current Hungerford Surgery. He moved to Hungerford in 1910 and setup practice at the Manor House. During WW1, Dr Starkey-Smith served as the medical officer at that Voluntary Aid Detachment Hospital in Hungerford. The consecration was marked by the presentation of a set of masonic gavels given by Major Sir Francis Burdett 8th Baronet, Past Grand Deacon in UGLE, 32nd Degree A and A Rite. Sir Francis lived in Ramsbury Manor until he died on 13th April 1951. His father, The 7th Baronet, Colonel Sir Francis Burdett was the first Provincial Grand Master for Middlesex. The newly installed master thanked the various members of the lodge who had presented furniture and made gifts towards the expenses of the lodge, particularly Sir Francis Burdett who was made an honorary member in recognition of his gift. Other valuable gifts included a silver bowl given by Bro J Wishaw, who was thanked for his very handsome gift. This relationship can be seen in more detail using the Lodge Family Tree charts created by W. Bro. J.G. Amos, The Earl Amherst Lodge No. 3230. At the October 1926 meeting, W.Bro. Turner (S.W.) brought forward a suggestion that each master of the lodge should sign his name on the back of the warrant which would, in time, become a document of great interest, this received the warm support of the brethren, the W.M. kindly offered to have the warrant framed so that W.Bro Turner’s suggestion could be carried out. We have not removed the frame to check to see if the autographs of the early Masters are there but today each Master signs a Lodge Honour Roll which is a book. May 11th 1927 Brother Bartholomew who had made the oak frame for the warrant was thanked for his handsome gift. In 1928 an organ was purchased for the sum of £19. Also in 1928 Mr Walter Wooland “Gentleman” was proposed as an initiate to the lodge. It can be seen that finding a permanent home for the Lodge was an issue as early as 1928 when the Master Elect brought forward the question of building a Masonic Temple if a suitable house or building could be obtained. The first GP meeting of 4748 was held on 27 Oct 1925. The question of making arrangements for the formation of a Lodge of Instruction was discussed and it was decided that it be held at the Three Swans on the Sunday preceding the regular lodge meeting at 6:30pm, it was decided that an annual subscription be 2/6. The Benevolent Association was formed in March 1949. Any person, if approved, may become a member of the Association, but members who are not Freemasons shall have no voice in its management. On 20th day of Oct 1942, the Agenda reads: The Lodge will go into mourning for six months as a mark of respect for the Grand Master, Right Worshipful Brother His Royal Highness, the Duke of Kent who was killed in action on Tuesday, 25th August 1942. Our longest serving and most distinguished living member, Peter Ludlow was initiated on 19th February 1957, installed as Master 15th November 1966 and rose to the rank of Assistant Provincial Grand Master for the Masonic Province of Berkshire and Past Senior Grand Deacon (UGLE). From January 2015, Hungerford Lodge started meeting at the Newbury Masonic Centre. Whilst initially this was perceived as a forced move resulting from the Town and Manor of Hungerford changing the way it used its building, Hungerford Lodge members have grown accustomed to our new home. 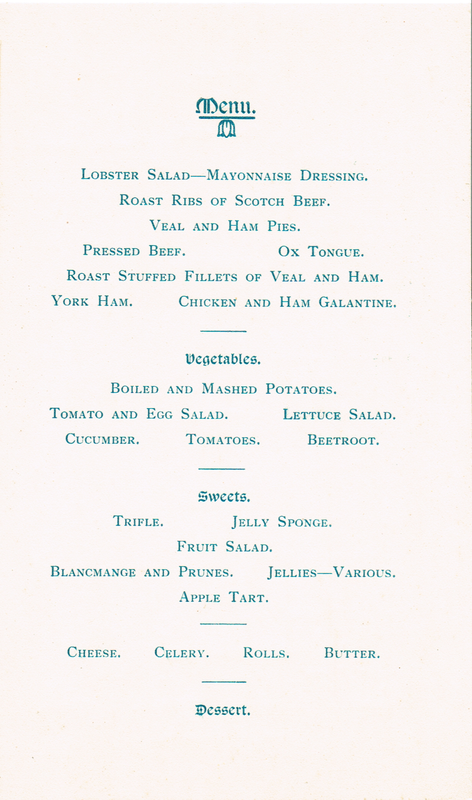 We initially tried dining in Hungerford but changes in management meant that the dining facilities became unavailable to us. Thankfully we have established a partnership with the Newbury branch of the Royal British Legion for our dining. Likewise the Hungerford branch of the “legion” now serves as the venue for our GP Committee meetings.